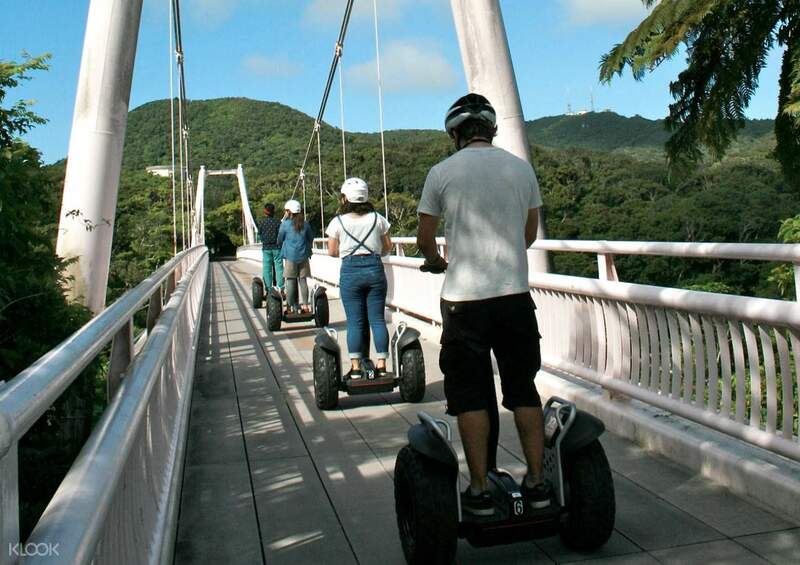 Discover the natural beauty of Ishigaki and its sprawling landscapes in a new and futuristic way - via a Segway! 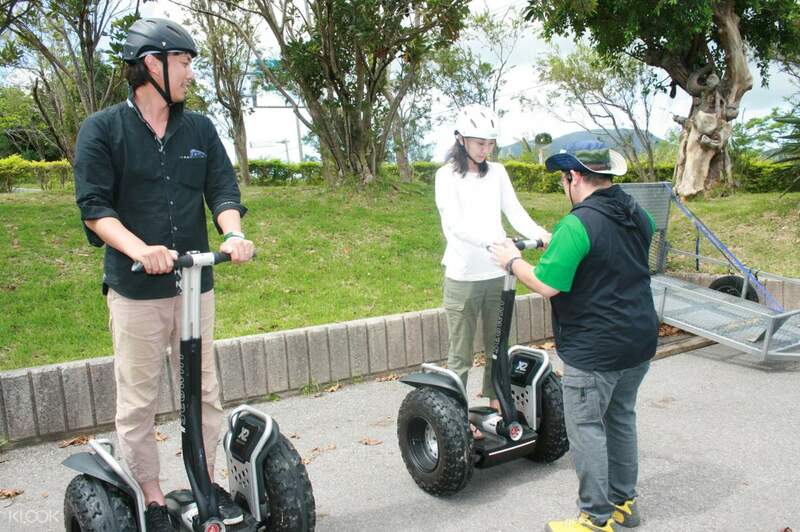 Have a taste of the natural beauty of Ishigaki, Japan while going on a fun and easy ride on a futuristic Segway! You'll be going around and exploring the expanse of Ishigaki's Banna Park, a stunning nature reserve filled with fields, slides, and various flower and animal species. Meet up with your English-speaking instructor at the north entrance of Banna Park, which is only a half-hour drive away from Ishigakiko Terminal. 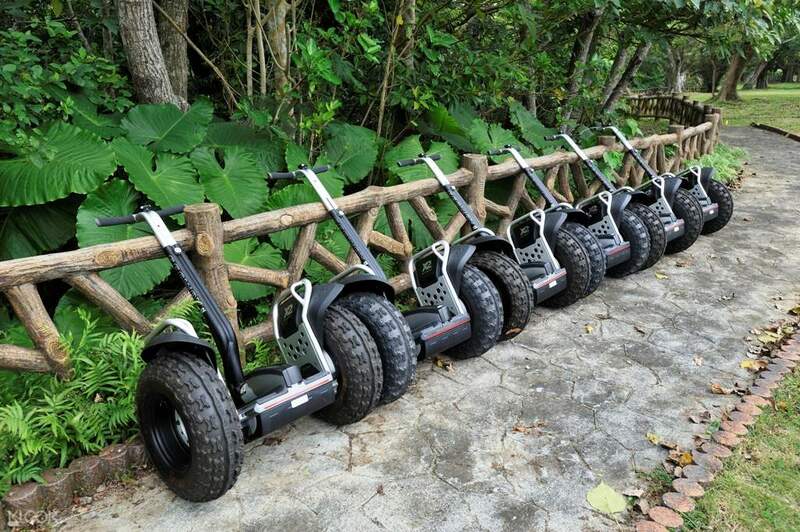 Your Segway route will cover the expanse of the forested mountain of Mt. Omoto and you'll even cross a 100m suspension bridge! 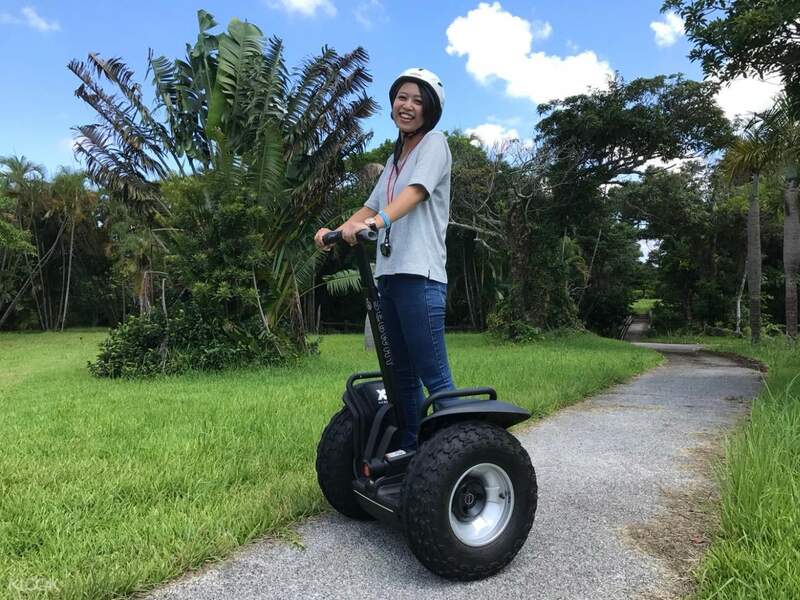 But if you're feeling a bit apprehensive with your Segway driving skills, don't worry, because your instructor will provide you with safety instructions as well as a practice session of 30 minutes to get you started! Once you're good to go, you'll traverse through the park and your guide will regale you with facts about the different plant species you'll be seeing, facts about the insects and birds around you, and many more! You will truly appreciate the reserve's beauty thanks to its amazing view of its green pastures and countryside. After your 90-minute experience, you can even venture around the park by yourself to stroll around its paths or visit its butterfly park or insect museum! It's definitely going to be a packed 2 hours with this Segway experience. Take adorable photos of yourself navigating a Segway, the vehicle of the future! Meet Up Location: North Entrance of Banna Park. Please check for the sign that says "North Entrance"